A shining example of style and grace. 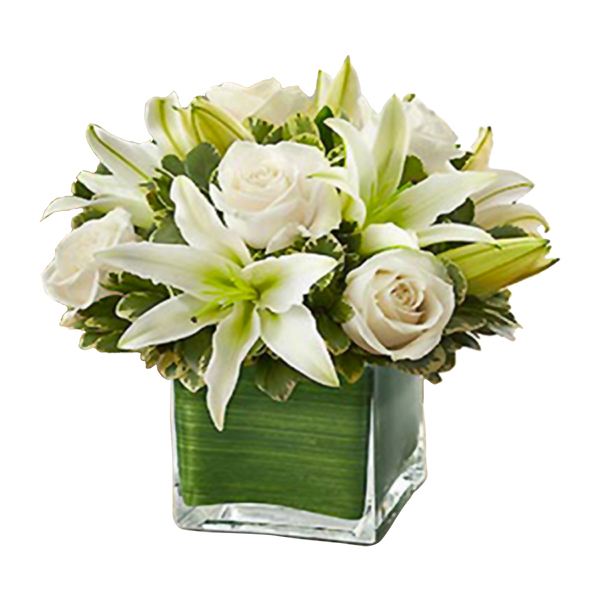 That's our chic bouquet of striking white roses and white lilies, gathered by hand in a glass cube vase. Perfect for an anniversary, hostess gift, or any event, it's a standout surprise that fills a tabletop or any desk with sophisticated beauty.